Beautifully Shuttered - Curtains/Blinds/Shutters based in Pocklington, East Riding of Yorkshire. Here at Beautifully Shuttered you can rest assured you are in the right place if you are looking to purchase Plantation Shutters. We are a local York plantation shutter company who offer an extensive and beautiful collection of made-to-measure affordable Plantation shutters, available in different wood types to suit a variety of needs and budgets. We over a choice of five shutter styles such as traditional full height, Cafe style shutters,Tier-on tier shutters, shaped shutters and tracked shutters available in 117 painted and stained finishes and colours. 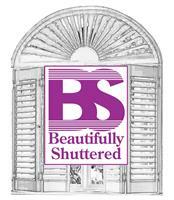 Our mission is simple - To provide the people of Yorkshire with the best value shutters for your beautiful home. We take great pride in the service we provide along with our attention to detail. With many reviews from plenty of happy customers we can proudly say we are one of the best shutter companies in Yorkshire.